(877) 486-2048 People who require TDD or TTY can call. Direct link to start - choose: start new application. There are modest fees for quotes with this service. For the elderly and disabled this government program provides information on Medicare. Hot-lines are different for each state. You can For service in your state call (800) 677-1116. Offers The ABA Legal Guide for Older Americans, which includes sections on assisted living. 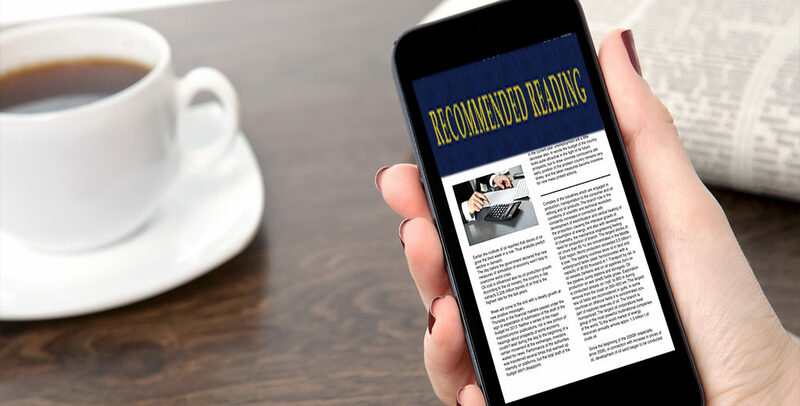 Offers a free pamphlet, Assisted Living Guide & Checklist, and a listing of member facilities by state; also publishes industry magazine, Assisted Living Today. LeadingAge is an association of 6,000 not-for-profit organizations dedicated to making America a better place to grow old. Travel Plans? Don't Forget to Check Your Medicare Health Coverage! Summer is around the corner and vacations and getaways are being planned. You’re putting great thought into the itinerary, hotel accommodations and transportation, passports and have even found an awesome pet sitter for Sparky. But, are you also thinking about your health? Does your Medicare plan cover you when you are traveling in or out of the country? Do you have enough coverage? If you have Original Medicare, your health care services and supplies are covered when you’re in the U.S. (which includes Puerto Rico, the U.S. Virgin Islands, Guam, American Samoa, and the Northern Mariana Islands). But, when you are traveling outside the U.S. (including to Canada or Mexico) or overseas, it’s important to know that in most cases, Medicare won’t pay for health care services or supplies you get outside the U.S. (except in these rare cases). If you have a Medigap policy, check your policy to see if it includes coverage outside the U.S. If you get your health care from another Medicare health plan (rather than Original Medicare), check with your plan to see if they offer coverage outside the U.S.
Purchase a travel insurance policy that includes health coverage. Be sure to check your policy or plan before traveling. It’s very important that you understand what is covered outside the U.S. If you are cruising, have a special need for obtaining prescription drugs or require dialysis or other specific health care requirement, watch this video. 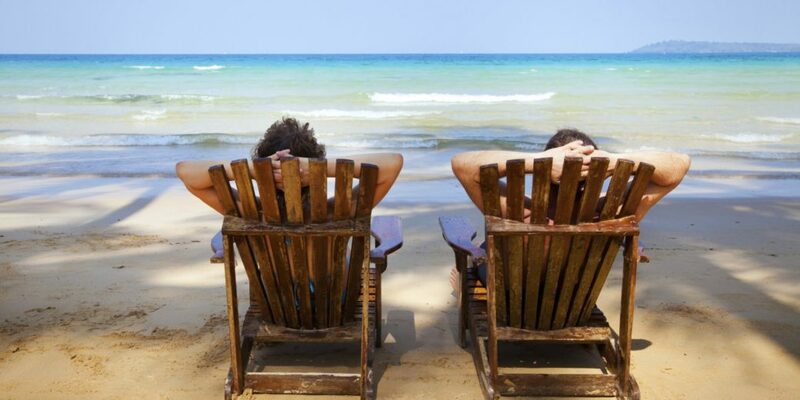 Including your health care coverage into your travel plans could be the difference between an incredible vacation experience or a health and financial disaster. Also, visit the Centers for Disease Control’s Traveler’s Health page for more information on how to stay healthy abroad. Finding a reputable and trusted partner to assist you with your financial & insurance needs is of vital importance. I will work hard to find the best programs, coverage and rates that fit your budget and your needs. Contact me at 949-216-8459 or ccolley@coliday.com. Many of my Medicare clients have had questions about the changes in inpatient and outpatient rules and how they financially affect hospital stays and skilled nursing facility visits and decisions. If you need hospitalization, your hospital status—whether you're an inpatient or an outpatient—affects how much you pay for hospital services like X-rays, drugs, and lab tests. Your hospital status may also affect whether Medicare will cover care you get in a skilled nursing facility (SNF) following your hospital stay. You're an inpatient starting when you're formally admitted to the hospital with a doctor's order. The day before you're discharged is your last inpatient day. You're an outpatient if you're getting emergency department services, observation services, outpatient surgery, lab tests, or X-rays, or any other hospital services, and the doctor hasn't written an order to admit you to a hospital as an inpatient. In these cases, you're an outpatient even if you spend the night in the hospital. The Medicare Outpatient Observation Notice (MOON) went into effect March 8th, 2017 and applies to those with an Original Medicare hospital stay. It DOES NOT apply to those with Medicare Advantage plans as they have their own rules and options regarding inpatient/outpatient services. The MOON will tell you why you’re an outpatient getting observation services, instead of an inpatient. It will also let you know how this may affect what you pay while in the hospital, and for care you get after leaving the hospital. 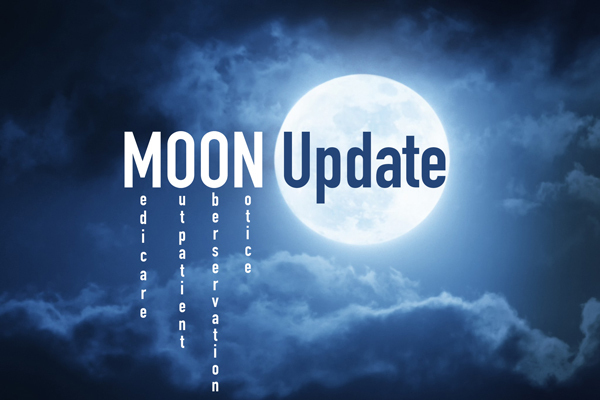 If you or a family member needs to stay in the hospital, the MOON (Medicare Outpatient Observation Notice) needs to be provided in written form, signed and dated with an oral explanation from the facility no later than 36 hours from the time the Medicare patient begins receiving outpatient observation services. This time limit is considered the new ‘two midnight stay observation’ policy. (Note - Observation services are hospital outpatient services you get while your doctor decides whether to admit you as an inpatient or discharge you. You can get observation services in the emergency department or another area of the hospital). I would recommend referencing the ‘Medicare & You’ handbook that all Medicare households receive in the fall or download a PDF here: Medicare and You. This guide explains in more detail the MOON rule as many Medicare enrollees may have missed this information. Be sure to discuss any hospital procedure with your physician/surgeon regarding whether your stay will be an inpatient or outpatient stay. Remember you only become an inpatient once the hospital, not your doctor, formally admits you with a doctor’s order. You or a family member should also ask every day if your stay is an inpatient or outpatient procedure to avoid any discrepancies. Information and materials are provided for general information and educational purposes based upon publicly available information from sources believed to be reliable—we cannot assure the accuracy or completeness of these materials. The information in these materials may change at any time and without notice. The above information is not intended to provide, and should not be relied on for, tax, legal, or accounting advice. Coliday and Craig Colley are not affiliated, employed or endorsed by the SSA, Medicare.gov. or any other government agency. Spring is in the air with the sights, smells and sounds of renewed life, warmer and longer days and a sense of anticipation for what’s to come. And let’s not forget spring cleaning! With this renewed outlook, why not include your health and practice preventive care. Your well-being is important and preventive care can help you from becoming sick or by detecting problems early on when treatments can be most effective in maintaining a good physical, mental and healthy lifestyle. If you have Medicare, take advantage of the variety of preventive tests and screenings, most at no cost to you. Are you new to Medicare? “Welcome to Medicare” offers a preventive visit during your first 12 months of Part B coverage. This visit includes a review of your medical and social history related to your health and education and counseling about preventive services, including certain screenings, shots, and referrals for other care, if needed. If you’ve had Part B for longer than 12 months, you can get a yearly wellness visit to develop or update a personalized prevention plan based on your current health and risk factors. In addition to these important wellness visits, Medicare covers screening tests for diabetes, colon cancer, breast cancer, osteoporosis, heart disease, and obesity management, just to name a few. Check out the complete list of Medicare-covered preventive services and watch an important preventive benefits video. 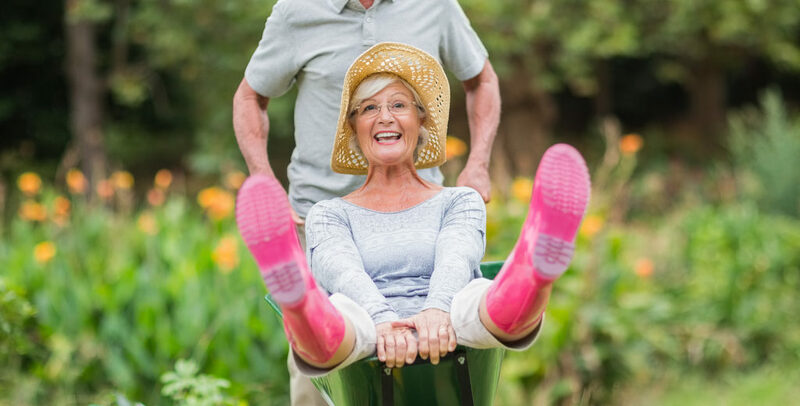 So, don’t forget to include preventive care into your spring outlook and maintain your good health and well-being for a lifetime of new seasons. Source Information: https://blog.medicare.gov/2018/03/01/preventive-care/ and materials are provided for general information and educational purposes based upon publicly available information from sources believed to be reliable—we cannot assure the accuracy or completeness of these materials. The information in these materials may change at any time and without notice. The above information is not intended to provide, and should not be relied on for, tax, legal, or accounting advice. Coliday and Craig Colley are not affiliated, employed or endorsed by the SSA, Medicare.gov. or any other government agency. New Medicare ID Cards Coming April 2018! Beginning in April 2018, a new Medicare ID card will be mailed to more than 55 million people who are currently enrolled in the Medicare system and to the additional 10,000 Baby Boomers who are eligible daily for Medicare. Whew! The Medicare Access and CHIP Reauthorization Act (MACRA) of 2015​ requires removal of Social Security numbers from all Medicare cards and replacing it with a new Medicare Beneficiary Identifier (MBI) by April 2019. With the proliferation of identity theft and fraud over the years, the new Medicare card will help to protect Americans private health care and financial information and federal health care benefits and service payments by using 11 characters in length of upper case letters from A- Z and numbers 0-9. How long will this process take? How does this affect me? The new Medicare card will work in phases using geographic location and will take a full year finalizing in April 2019. 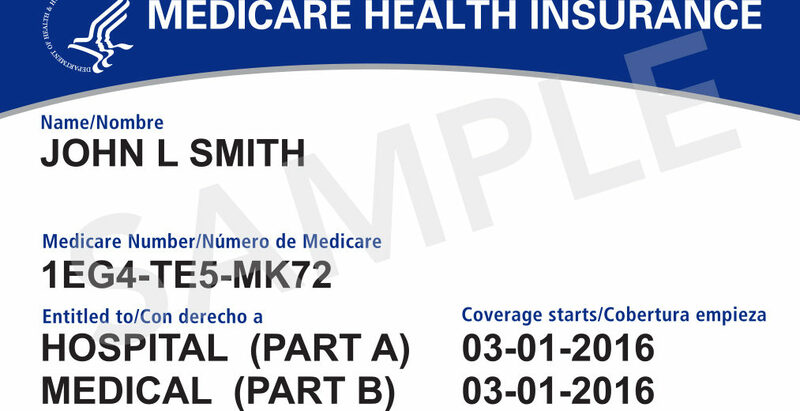 After December 31, 2019, those enrolled in Medicare must use the new Medicare card. Obviously, this volume of work takes time and people will be receiving cards at different intervals so don’t worry that your neighbor’s card arrives first. You can check out when your state will begin receiving the new Medicare card at www.cms.gov/medicare/new-medicare-card/nmc-mailing-strategy.pdf . Also, be sure to update your mailing address if there have been changes by contacting the Social Security Administration at www.ssa.gov/myaccount/ or call toll free 1-800-772-1213 (TTY 1-800-325-0778). Will my new card and new number protect me from fraud or identity theft? Just as your Social Security number and card should be protected, your new Medicare number and card should be also. The best way to protect yourself is never give personal or private information to a stranger over the phone or at your front door. Be aware that Medicare and Social Security will NEVER contact you by phone. If you receive a call by someone claiming to be from Social Security or Medicare, HANG UP! Both agencies will send you a letter to let you know you need to contact them. Millions of dollars are lost due to scammers who obtain Medicare card and personal ID numbers and use it to fraudulently bill for services never ordered or used and your credit can also be damaged. Seniors are most vulnerable to scammers and they need to make sure that other friends and family members are aware, as well. Your new Medicare card will be as unique as you. Before taking the big step in enrolling in Medicare, a little education can go a long way. An education in Medicare can be a daunting task. Like learning a new language, there are the words, their meanings and structure that need to make sense to become knowledgeable and fluent in the language. In the language of Medicare, we’re here to make that as easy as possible. For a better understanding of how Medicare works, we can help break this information down. 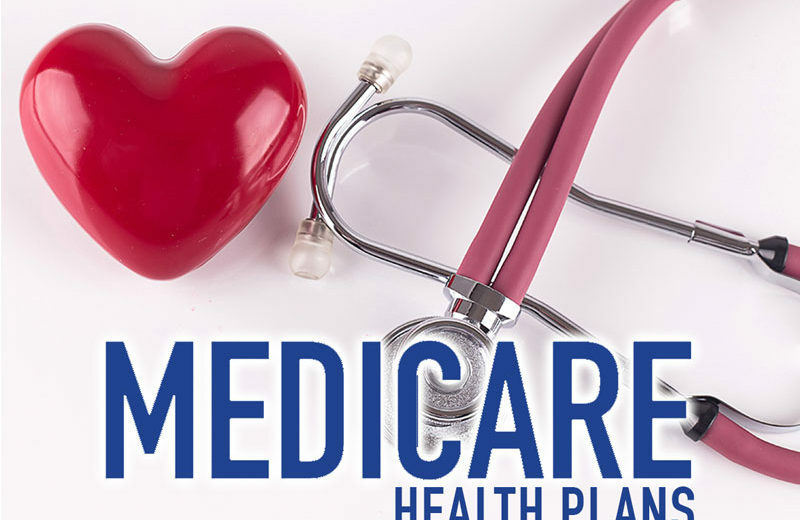 Starting from the basics of the various plans and their unique parts, formularies and cost-sharing ideas, tier ranges and coverage, you will become fluent in the ways Medicare works for you. people of all ages with End-Stage Renal Disease (permanent kidney failure requiring dialysis or a kidney transplant). Part A Hospital Insurance – Most people don’t pay a premium for Part A because they or a spouse already paid for it through their payroll taxes while working. Medicare Part A (Hospital Insurance) helps cover inpatient care in hospitals, including critical access hospitals, and skilled nursing facilities (not custodial or long-term care). It also helps cover hospice care and some home health care. Beneficiaries must meet certain conditions to get these benefits. Part B Medical Insurance – Most people pay a monthly premium for Part B. Medicare Part B (Medical Insurance) helps cover doctors’ services and outpatient care. It also covers some other medical services that Part A doesn’t cover, such as some of the services of physical and occupational therapists, and some home health care. Part B helps pay for these covered services and supplies when they are medically necessary. Prescription Drug Coverage – Most people will pay a monthly premium for this coverage. Starting January 1, 2006, new Medicare prescription drug coverage will be available to everyone with Medicare. Everyone with Medicare can get this coverage that may help lower prescription drug costs and help protect against higher costs in the future. Medicare Prescription Drug Coverage is insurance. Private companies provide the coverage. Beneficiaries choose the drug plan and pay a monthly premium. Like other insurance, if a beneficiary decides not to enroll in a drug plan when they are first eligible, they may pay a penalty if they choose to join later. Medicare Part A (Hospital Insurance) helps cover inpatient care in hospitals, including critical access hospitals, and skilled nursing facilities (not custodial or long-term care). It also helps cover hospice care and some home health care. Certain conditions must be met to get these benefits. working, are age 65 or older, or are disabled but no longer get free Part A because they returned to work. If they have limited income and resources, their state may help them pay for Part A (see page 60). For more information, they can visit www.socialsecurity.gov on the web or call the Social Security Administration at 1-800-772-1213. TTY users should call 1-800-325-0778. Medicare Part B (Medical Insurance) helps cover doctors’ services and outpatient care. It also covers some other medical services that Part A doesn’t cover, such as some of the services of physical and occupational therapists, and some home health care. Part B helps pay for these covered services and supplies when they are medically necessary. Cost: The Medicare Part B premium each month ($99.90 per month in 2012). In some cases, this amount may be higher if the beneficiary didn’t sign up for Part B when they first became eligible. Caution: If the beneficiary didn’t take Part B when they were first eligible, the cost of Part B will go up 10% for each full 12-month period that they could have had Part B but didn’t sign up for it, except in special cases. They will have to pay this penalty as long as they have Part B. They also pay a Part B deductible each year before Medicare starts to pay its share. The Part B deductible for 2012 is $140.00. The beneficiary may be able to get help from their state to pay this premium and deductible. Medicare deductible and premium rates may change every year in January. The information provided is not intended as tax, financial, investment or legal advice. Please consult legal or tax professionals for specific information regarding your individual situation. The opinions expressed and material provided are for general information, and should not be considered a solicitation for a purchase or sale of any product/service. Facebook Disclaimer- “This site is not part of the Facebook website or Facebook Inc. Additionally, this site is not endorsed by Facebook in anyway. Facebook is a trademark of Facebook Inc”.